Today was Day #4 of Chocolate and Coconut Theme Week. 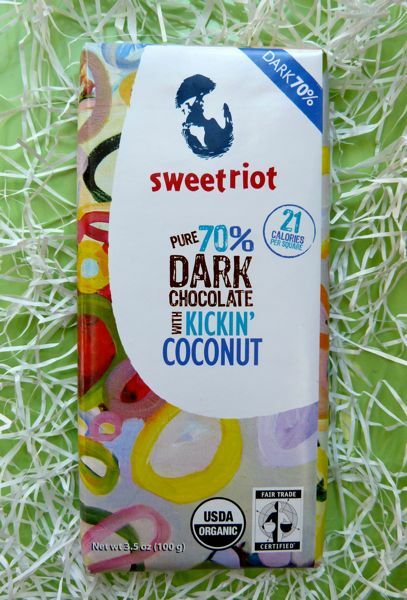 Sarah and the rioters, of sweetriot (New York, NY), wanted to create a company that would change the world. So, care was taken to support and source fair trade, organic chocolate from Latin America, as well as organic fair trade vanilla extract, and organic dried coconut - a veritable riot of little shreds in each bite of this dark (minimum 70% cocoa solids) bar. 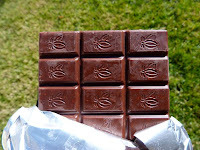 The bittersweet chocolate tasted much sweeter than 70% (cocoa solids) in part because of the high coconut content (18%). 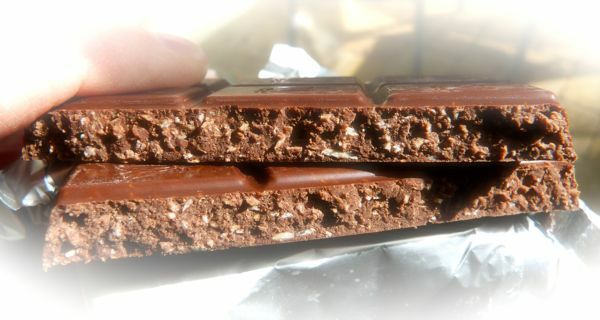 In many cases, dark chocolate will dominate other flavors and inclusions in bars or confections. However, in this case, the coconut riot was swirling around my taste buds.